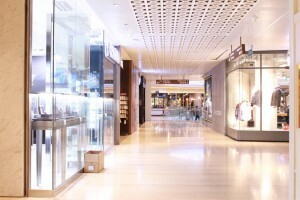 DCS Synthesis provides technology solutions to shopping malls at a system level. This enables malls to capture the data they require from their retailers. The specific level and depth of information varies from mall to mall and the level of integration depends on the variety of systems at the retailers level. We also have solutions for shopping malls to manage their shoppers. This extends from simple shopping privileges for members to more elaborate CRM Marketing System. 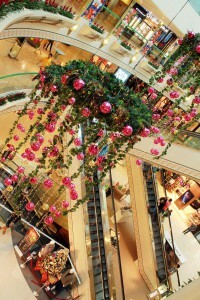 Besides capturing information for the malls, DCS Synthesis also provides tools for malls to engage their customers. We provide complete solutions for gift voucher management systems, loyalty management system or rewards management system as well as customer relations systems. For the gift vouchers, we are able to provide either print vouchers or electronic vouchers using a mobile application. For our customer relations systems, we are able to engage the mall’s customers using games, lucky draws and sms messages. Our solutions are designed with our customers in mind and hence the system is integrated into the workflow of the malls which includes the required approval process for vouchers as well as billing and reporting. There is also integration with the accounting system where required. Our customer relations systems come with reporting so that customer activity is understood. From our experience of working with the largest malls and mall operators in the region, we are fully confident of delivering both a comprehensive and cost effective solution. In addition to this installation delivery, we also ensure that maintenance work is strictly within our service level promises. Moving forward, there is also a new range of technology and devices that aim to provide new benefits and new information sets to the Shopping Malls. We seek to integrate some of these mature solutions into our suite of solutions. These can be part of a comprehensive DCS Synthesis solution or in collaboration with other solution providers. Track your tenant sales accurately by allowing your tenants to submit sales electronically. Sales figures can be processed in real time or end-of-day depending on your requirement. Manage missing sales or non-submission sales effectively making sure you have an accurate sales data. Manage your tenant’s profile, leasing details and historical sales data. Easily monitor the expiring tenants, renewing leases and available spaces. The system has capability to generate monthly billing details for each tenants based on the various formula set in the tenant rent calculation setting. Successfully interfaced with majority of the POS systems with various platforms. Tenants have various options for integration and interfacing for flexibility for both tenants and management. We have interfaced successfully with SAP, Yardi, MRI, BIOS and other third party system making sure that data is up-to date whether for both tenant and leasing details and tenant sales. It eliminates redundant processes and data entry for both systems as thru integration your systems are connected and updated. Through the interfacing with other system, Tangent increases its scalability. Tenants can submit their data easily or check reports via the tenant web portals. Through the web portal, tenant can easily verify the data they have submitted and submit adjustments. Through the web portal, you can also communicate with your tenants for new memo or notices making sure your tenants are informed and updated. System will be secured whether hosted on DCS data centre or your data centre. Data processing, connectivity and interfaces are secured and encrypted. The system can be accessible via the cloud through mobile platforms. Analyze your database easier thru our dashboards and analytical reports. Whether yearly comparisons for sales or seasonal sales report or any customized reports you require, you can generate the reports via our BI tools. DCS Synthesis provides technology solutions to retailers. This is typically the point-of-sales system and machine. We have solutions for both food and beverage customers (POS systems for restaurant) as well as general retail outlets (POS systems for retail). This ranges from the basis sales terminal to more elaborate CRM, inventory management and ordering and delivery systems. In terms of POS systems, we have solutions for both retail outlets as well as hospitality outlets. For the retail outlets, our solutions not only track and manage inventory, they also handle customer relations. The solutions are scalable, easy to maintain, real-time and provide professional reporting. For the hospitality outlets, we also have a complete system from table reservation to kitchen display to recipe inventory management to table payment. Our solutions also come complete with customer relations management and professional reporting. We fully understand the needs and challenges of a single outlet retailer to an operator of a chain of outlets. We can thus scale our solutions to meet their range of requirements. However we strongly believe that each retailer is different and might want to do things differently. We thus seek to first understand the needs and workflow of the retailer before proposing our customised solutions for them. Moving forward, there is also a new range of technology and devices that aim to provide new benefits to Retailers. We seek to integrate some of these mature solutions into our suite of solutions. These can be part of a comprehensive DCS Synthesis solution or in collaboration with other solution providers. All your data in one place. Access anywhere, anytime and keeps you selling. MyRetailer 360 (POS Systems) is always on and available 24/7 no matter where you are. iPad POS 360 (Ipad Pos) allows you to run your business with efficiency and style. Cloud integrated, easily configured and mobile.